This morning during my prayer and meditation, I read Our Daily Bread. The title of the message: Dumb Sheep Good Shepherd. The gist of it in part, comes from the book of Ezekiel where the shepherds had been neglectful of looking after the sheep. They were far more focused on their self-interest as opposed to the interest of the sheep that were wholly dependent on the shepherds for their care. I began to question whether I was a shepherd or a sheep, even the kind of shepherd that was more concerned about my self-interest as opposed to the interest of others. As I pondered on that, my thoughts began to broaden, and well, you know how bloggers and writers are, we have to capture our thoughts in the moment so here I am. I somewhat deviated from the message and began to consider people in general and whether they would classify themselves as shepherds or sheep. Not necessarily the selfish shepherds as discussed in Our Daily Bread, but rather in general. Shepherds have the task, the need, the want to lead and hopefully are capable of doing so well. The concept of being a leader is looked upon far more favorable than that of a follower and so becoming a leader (shepherd) becomes a goal. But with that goal in mind, do we really prepare for the responsibility of leading? Do people really prepare for the influence, good or bad, that they will have over people’s lives and can the good be separated from the bad? Can we have one without the other? Will we be able to boast only of the upside, while not contemplating the negative affect of our leadership? More importantly, do you want the responsibility? It’s something to think about isn’t it? You must know upfront the answer to that question because it comes with the territory. Without sheep there would be no need for a shepherd would there? Not everyone is cut from the same leadership cloth and I totally respect that. We live in a world where even sheep lead from behind. Then there is sheep that are at their very best under the direction of a strong leader. There are some sheep that shine brightest when given the support and guidance that draw out the best in them. There are sheep that need that constant push and accountability to achieve and maintain the best versions of themselves. While the world favors leaders, it’s the sheep that really make the shepherd great. 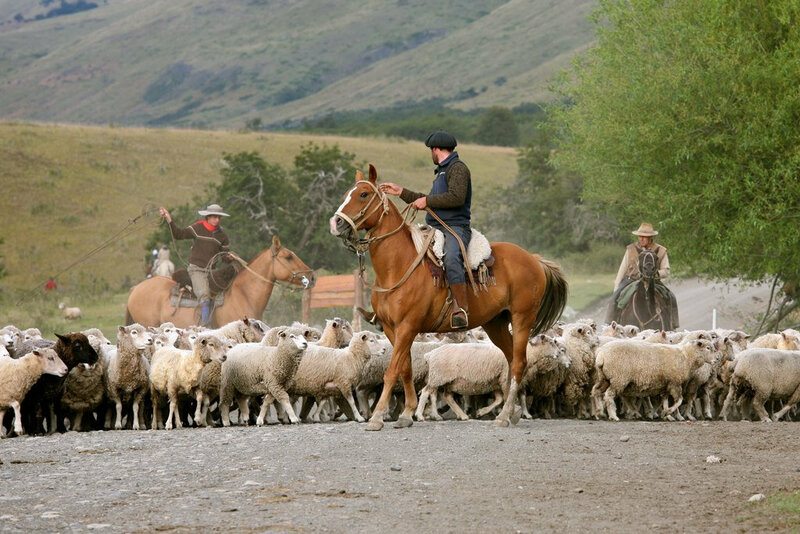 It’s the sheep that is the driving force behind the shepherd. Being a follower is nothing to be ashamed of, but rather, it’s often been said that not even a leader can successfully lead without first being a follower of something. Are you the sheep? So which are you: sheep or shepherd? While I can’t answer for you, I believe that I’m both. There are times when it’s best that I follow the leader and there are times when I need to follow. Then there are times when it’s necessary for me to take the lead no matter how hesitant I am about it. In the end, whatever role I play, I’m sure that given the chance, and trusting God, I’ll be ready. 2 Responses to "Shepherd or Sheep"
I too am both given the situation or season. I think knowing one’s season is most important. The first thing that came to mind when I read the Our Daily Bread post was past and current leaders/shepherds local and national. Wow unto the leader(s)/shepherds who take advantage of the sheep and lead them astray. A wise shepherd or sheep, needs to be discerning. As usual D, you are so on point. In my opinion, shepherd that leads his sheep away can no longer call himself a leader. They simply become detractors or worse…..dictators.